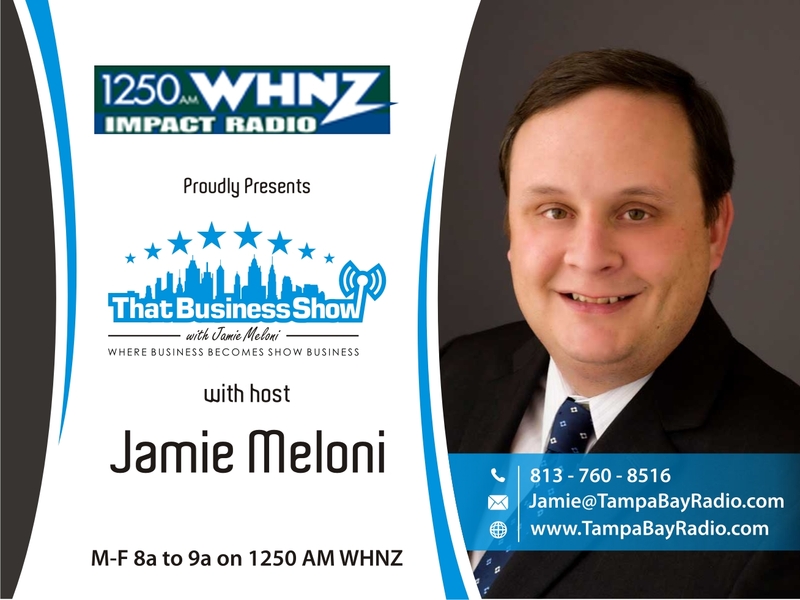 Launching February 2nd – The Jamie Meloni Real Estate Show becomes That Business Show with Jamie Meloni – airing Monday – Friday at 8a on 1250 WHNZ and streamed live on the Internet. Realtor Expert Contributors are welcome for the new show. Make your listing presentations stand out by offering sellers the ability to market their properties via video commercials that air during the show and you can re-purpose wherever and however often you like online. Different pricing packages available – set yourself apart from the competition and brand yourself a Radio Star today! Email me at Jamie@TampaBayRadio.Com for more information.